You are here: Home / Family / Have You Filled A Bucket Today? 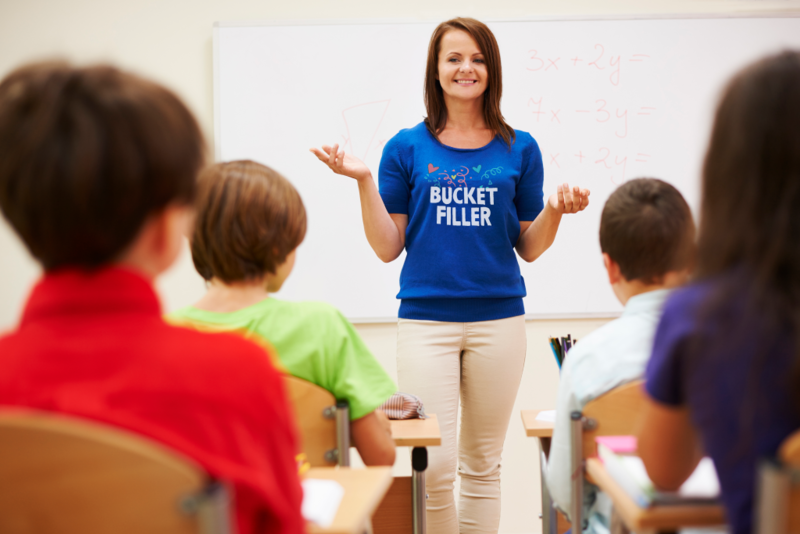 Are you familiar with being a bucket filler? Maybe you’ve heard about the 5 Love Languages and how “love tanks” need to be filled up. Many children are familiar with the bucket filler book because they’ve been introduced in classrooms, but it may be a new concept to you as a mom. We love the Bucket Filling concept so much that this poster (below) hangs in our kitchen. We’ve read the books and use the terminology of “bucket fillers” and “bucket dippers” frequently in our home. 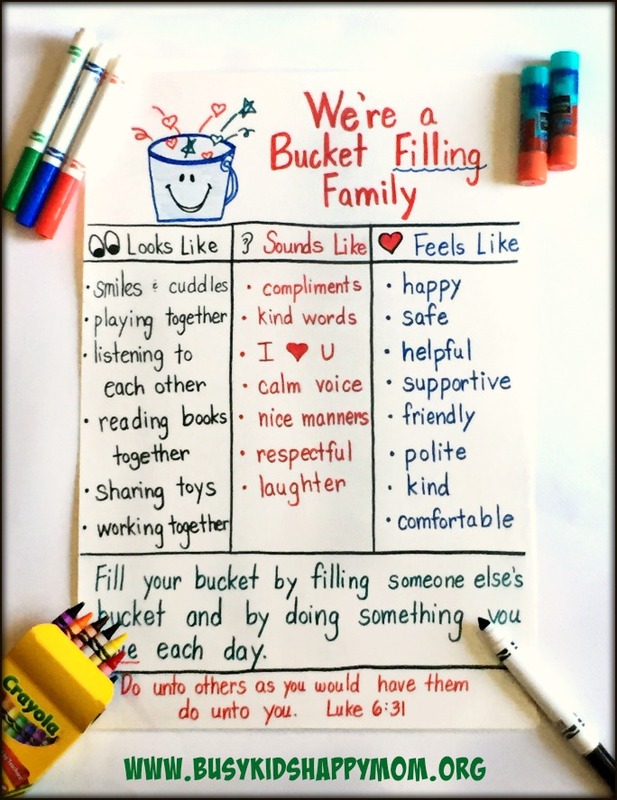 Are you reading to learn how to become a Bucket Filling Family? The short description: Giving Love Fills Buckets…. How Full is Your Bucket? Are you a bucket dipper or a bucket filler? How are you protecting your bucket? How can you fill up someone else’s bucket? What is a Bucket Filler? Through the book How Full is Your Bucket?, we learned that everyone has an invisible bucket hanging over their heads. It’s filled with all of your good thoughts and feelings. You feel happy when your bucket is full and you feel sad when your bucket is empty. You can fill a bucket when you do something kind for someone or make someone feel special. There are bucket dippers too, someone who does mean things or acts like a bully. Someone who does good things for others fills buckets, but also fills their own bucket. But, you never feel good when you dip from someone else’s bucket. Children must be taught how to love others. Children who learn how to express love and kindness, often lead happier lives. Someone who does good things for others fills buckets, but also fills their own bucket. When your bucket is FULL, you are able to spread love and kindness to others. Isn’t this what we all wish for in our homes? 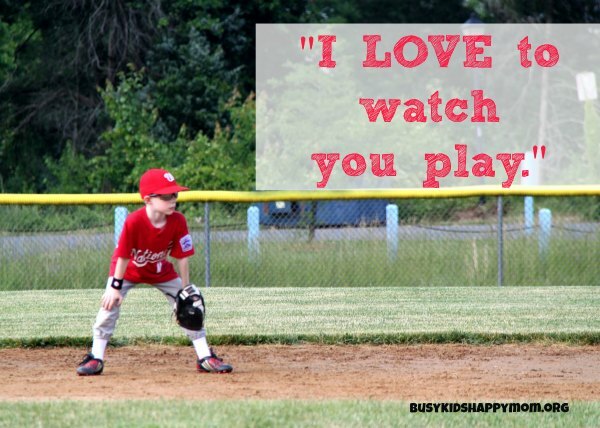 The same is true for moms and dads too. Running with an empty bucket or love tank, makes everyone miserable! Tell the world that you’re a Bucket Filler! Now you can get the shirt too! Click here. We were having a sad after school experience… the day was going well, but the bus ride home was rough. The kids were getting in trouble and yelled at by the bus driver, it was very noisy and chaotic. Needless to say, I had a child walking through the front door with an empty bucket. Kerry pointed us to Growing Up With a Bucket Full of Happiness book, we learned that you could put a lid on your bucket. Novel concept! This was a game changer for us. You can protect your good thoughts and feelings by putting a lid on your bucket. For my child, this meant when everyone was getting in trouble on the bus he could put his “invisible lid” on his bucket. He wanted to be a Bucket Filler, not a Bucket Dipper. 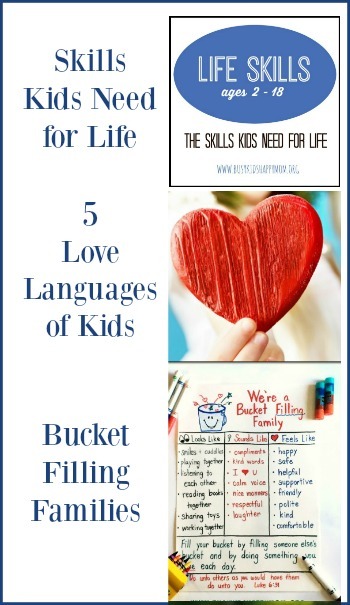 How does Bucket Filling tie in with the Five Love Languages? I feel that the way we show love towards someone is by speaking their specific love language (touch, service, words of affirmation, quality time, and gifts). They are all outlined for you in this post, click here. Mom Note: This is not in the book, but I’ve used this concept a few times. When we work so hard to build our children’s self esteem, it can be frustrating to see the good stuff “leaking” out! After learning about our buckets and reflecting on all of the good stuff, we decided to make a chart for our house. We can think of many ways to be a bucket dipper, but we decided to focus on the positive! 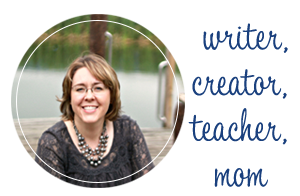 What does a Bucket Filler look like, sounds like and feel like? I just scribbled our notes onto a piece of paper for our rough draft. Then copied them over to a piece of construction paper that could hang up on our kitchen cabinet. I traced the bucket out of one of the books. I then added the Bible verse. These books are a must read for every member of your family. 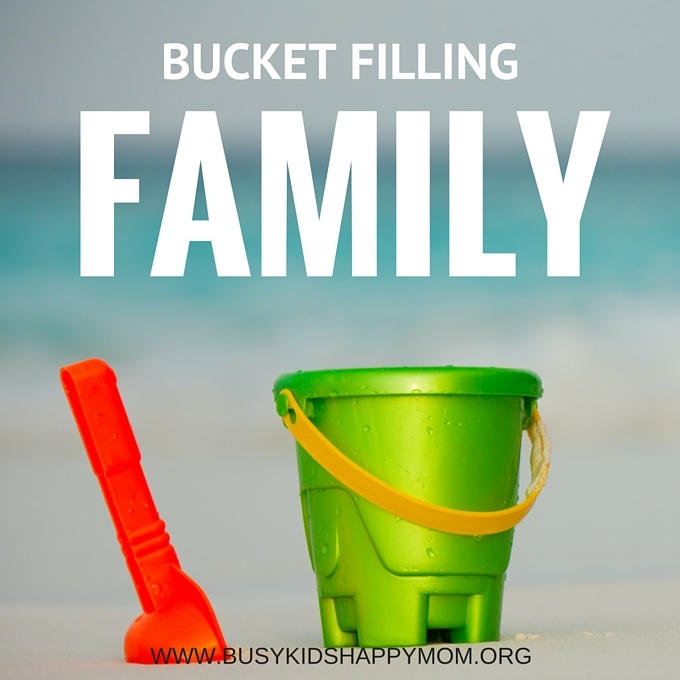 Parents, aunts, uncles, siblings, grandparents – gather together and be a BUCKET FILLING Family! We love the bucket filling books and I love the visual you added a long with it for the kids to see. Super encouraging! Thank you for writing and posting it!